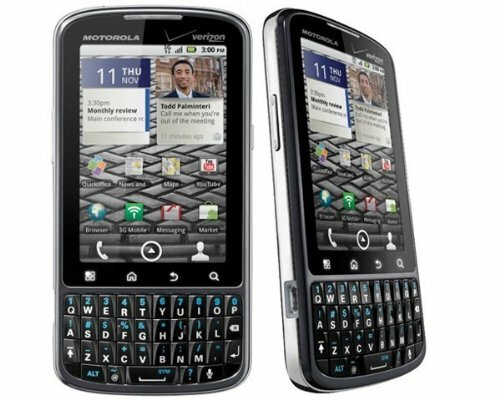 Motorola Droid Pro is a mid-to-low level Android phone launched in 2010, including a 5 megapixels back side camera, a small 3.1" multi touch screen and a powerful processor ticking at 1000 MHz. Let's take a deeper view of what this cellphone can give us. This phone is a bit heavy for a cellphone this size, with a weight of 4.73 oz. This phone is 4.69" long and 2.36 inches wide, it just packs a smaller 3.1 inches screen. While this cellphone is very slim it's not even close to being one of the thinnest cellphones out there, with a thickness of 0.46 inches. Motorola ships this cellphone with a TI OMAP3620 system chip, packing a quite powerful processor clocking at 1000 megahertz and 512 MB RAM memory. This cellphone comes with a 1 GB internal storage, a low amount that could be adequate for basic users having that this phone also has a slot for external memory cards to store songs, pictures and videos and even some games and apps that allow external memory installation. The Motorola Droid Pro has an average 480 x 320 3.1 inches screen, which makes all images and movies look quite nice. This screen uses TFT capacitive technology, and allows multi-touch for gestures like pinch and zoom. The Motorola Droid Pro is equipped with only a 5 mega-pixels back side camera. This phone also captures videos up to 720x480 at 30 frames per second. The camera also has flash and auto-focus. This cellphone uses a good 1420 mAh Li-Ion removable battery that can keep this phone running for several hours. According to Motorola, this cellphone has an aproximate 320 hs stand by time and a 7.2 hs talk time. This cellphone offers wifi connectivity (although it can't provide it to other devices around, acting as a wireless modem or router) or fast 3G data connection, supported by HSDPA, HSUPA, UMTS, EV-DO A and EDGE technologies. 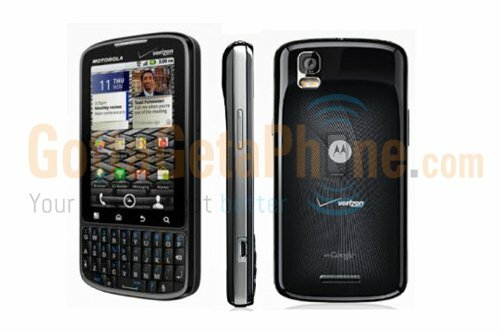 The Motorola Droid Pro works with a SIM card for GSM networks and it can use both CDMA and GSM carriers. This cellphone also includes some interesting features like Bluetooth (2.1, EDR), GPS Navigation and NFC (to trigger actions, transfer data or make payments by holding your phone close to another NFC device or tag), and multiple sensors like Light Sensor, Proximity Sensor, Accelerometer and Compass. This phone is priced 200 dollars, which is not a very good offer for comparing with similar phones.